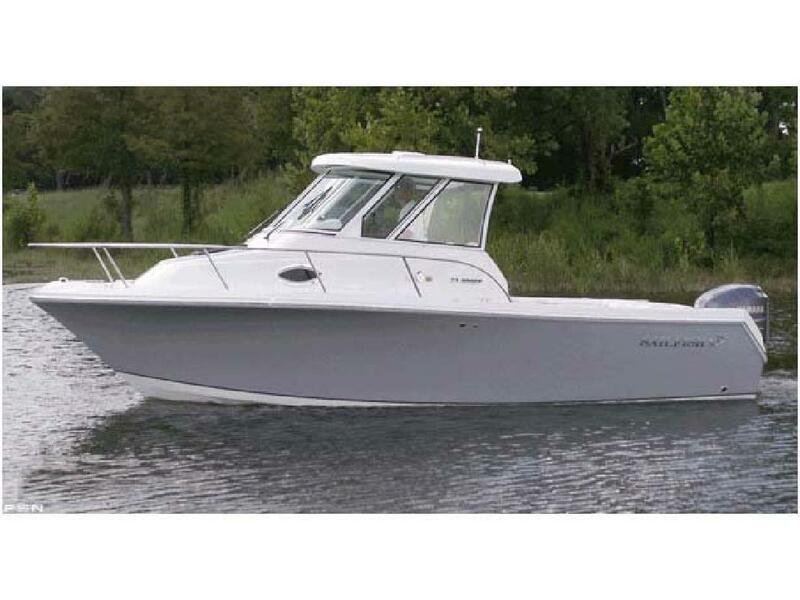 Call for quoteThe Sailfish 2360 WAC Pilot House represents the newest and most innovative cabin boat in its class. Developed on our world class VDS (Variable Deadrise Stepped) hull, renowned for superb performance and handling, the 2360 WAC Pilot House is loaded with all of the top end amenities that Sailfish customers have come to expect. Not only is this the largest boat in its class, the new 2360 WAC PH can be equipped as a competition quality fishing rig or optioned out to a luxury cruiser. Innovative design, maximized storage, and attention to detail make the Sailfish 2360 WAC PH the standard to which all must compare. Sailfish has built its reputation by delivering what the consumer demands. You too should "DEMAND THE DIFFERENCE", demand the new Sailfish 2360 WAC Pilot House today. The Sailfish 2360 WAC Pilot House represents the newest and most innovative cabin boat in its class. Developed on our world class VDS (Variable Deadrise Stepped) hull, renowned for superb performance and handling, the 2360 WAC Pilot House is loaded with all of the top end amenities that Sailfish customers have come to expect. Not only is this the largest boat in its class, the new 2360 WAC PH can be equipped as a competition quality fishing rig or optioned out to a luxury cruiser. Innovative design, maximized storage, and attention to detail make the Sailfish 2360 WAC PH the standard to which all must compare. Sailfish has built its reputation by delivering what the consumer demands. You too should "DEMAND THE DIFFERENCE", demand the new Sailfish 2360 WAC Pilot House today.